Carsharing.US: How does Flexible Carsharing Change Mobility & Car Ownership? How does Flexible Carsharing Change Mobility & Car Ownership? 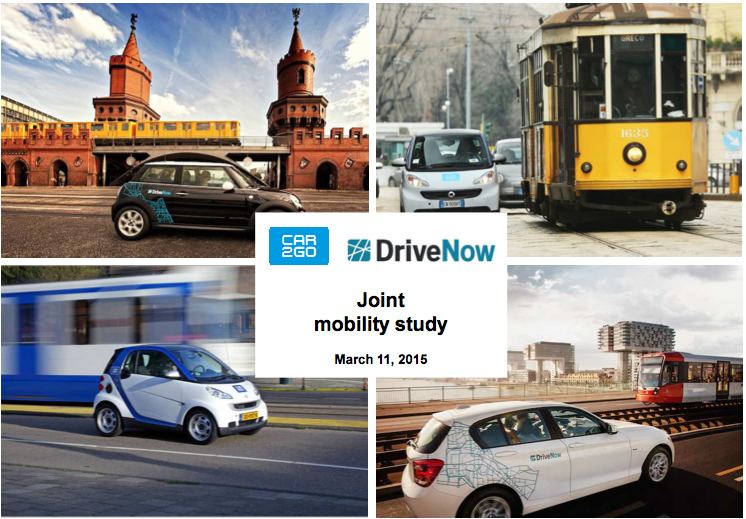 The two leading flexible carsharing (one way/on demand) providers in Europe, DriveNow and Car@Go, have made a useful contribution to understanding the effects on members' transportation patterns with the release of a summary of a Joint Mobility Study By DriveNow and Car2Go. The companies surveyed 2,881 members in Europe, all of whom had been members for at least 3 months and had used a vehicle in the past 30 days. There was a fairly even distribution of ages from 18-50 and somewhat lower representation above that. Over 2/3rd of those responding to the survey were male and about the same percentage had no children in the household (the report makes no statement whether the demographics are representative of the membership of the organizations). Since the earliest days of Autolib' in Paris, there has been a concern that flexible carsharing would take passengers from public transport, and contribute to traffic on city streets. Although the report indicates that carsharing members continue to use public transport and bicycling, there were some situations where users did subsitute flexible carsharing for a transit trips - when the transit trip would have been long or required several changes (echoing a finding from the early studies of City Carshare by Robert Cervero). The main reason members gave for using flexible carsharing were when it was "the best and quickest way to reach my destination" (80%). In addition to improved convenience over a transit trip, members used flexible carsharing if they believed the trip was less expensive than a taxi (62%) or if cycling was not convenient (43%). Another concern about flexible carsharing has been that it might not have the same effect of motivating people to reduce the number of cars they own (and hence the temptation to use those cars) as traditional round-trip carsharing. 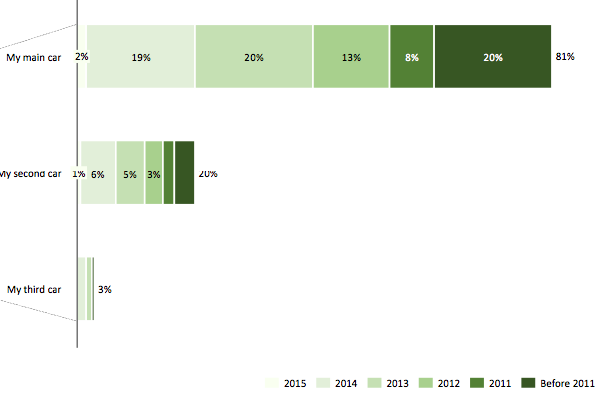 In the survey, 37% of members reported giving up a vehicle - of which more than 3/4s gave up their primary vehicle. That's impressive! Regarding the growth of flexible carsharing, members indicated they would use it more, "If the cars were more reliably available in my area when I need one" (74%; which just about every user of flexible carsharing can testify is an occasional problem) and, "If I could use the cars for longer at a reasonable price, e.g. for weekend trips" (43%; an attraction of car ownership, as well as lower-priced traditional round trip carsharing). Not too surprisingly, the report concludes that since the benefits of flexible carsharing are real, "upscaling the services would increase the beneficial effects" for cities. I agree. Industry report or not, I compliment both companies for providing a snapshot of their members.